If you have an adventurous soul, if you prefer exploring and discovering around to lying on your back and sunbathing, do not miss this awesome chance, join us in our Fethiye Quad Safari ! 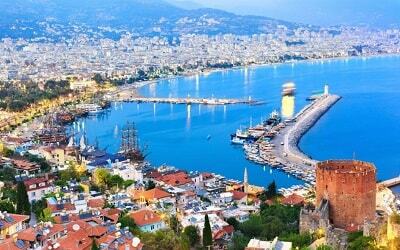 While having a peaceful holiday in Fethiye, this will be a great opportunity to spice up your time in here. 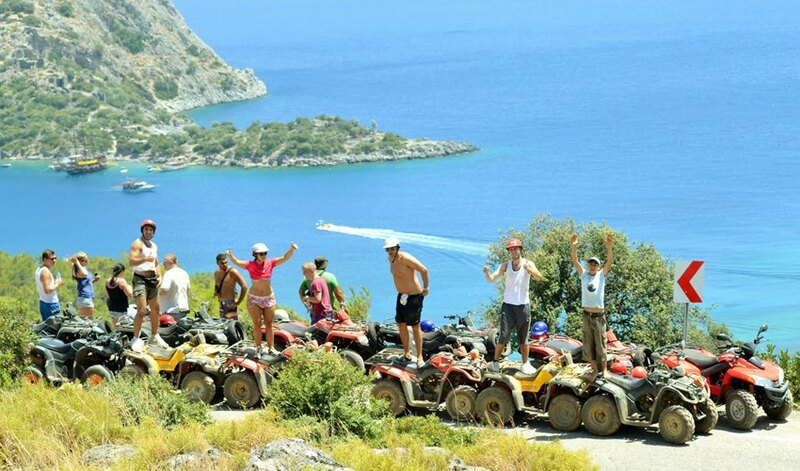 Our Fethiye Quad Safari is an organization which is preferred by people who has a forever young soul, doesn’t matter how old they are. 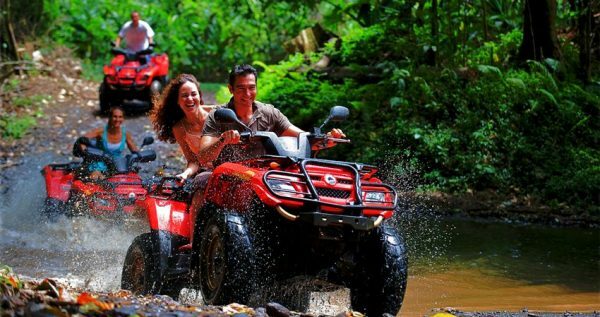 As the tour route offers you a variety of awesome places and picturesque views, it will be the best choice if you don’t want to spend your whole holiday in your hotel or just in the beach. 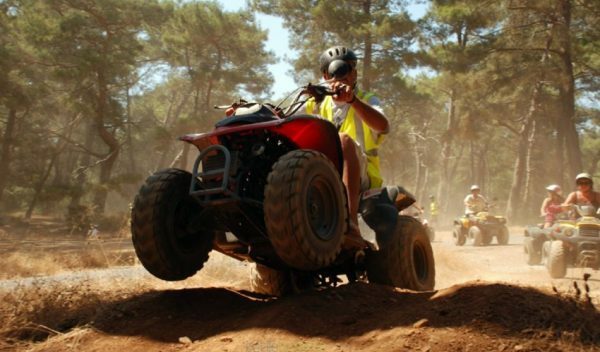 In the gathering point, our professional instructors will introduce you the bikes, and the equipment. Do not worry, the quad bikes are very easy to handle, so you don’t need any experience to book this tour. As our first priority is your safety, every part of the equipment and the bikes will be double checked before you mount them. 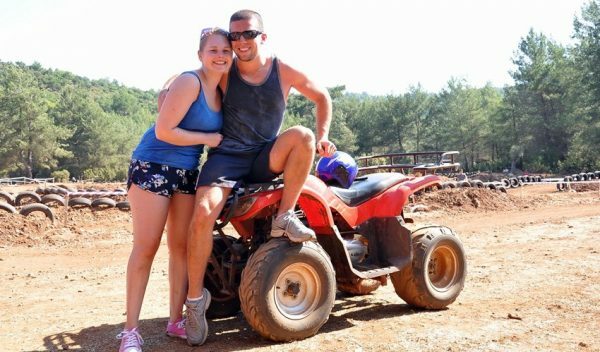 If you wish, you can ride a quad bike with a partner, or you can ride it alone. After this quick training, we will begin to our exciting tour route. The route is going through many natural beauties, and we have an option to visit Kayakoy/Levissi, which was once a small Greek town. As its original settlers had to abandon their homes, the village is now standing as a memoir for them. The architecture and the history behind will deeply affect you. 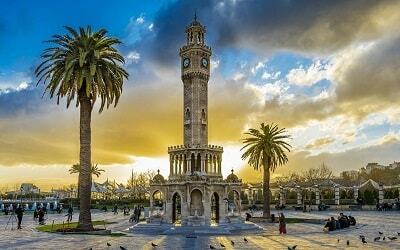 Our professional guides will be more than happy to inform you more about this splendid place. You will never forget those moments. 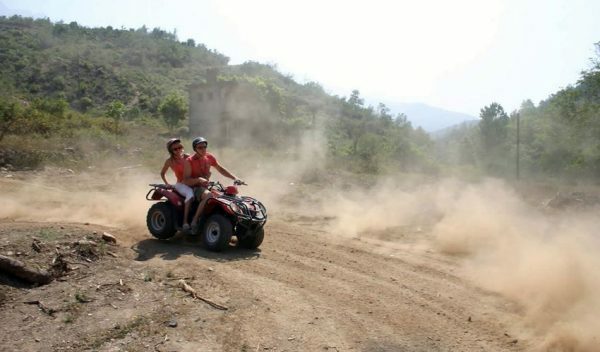 On our tour route, be ready for getting covered in dust, as we will go through untouched nature. The stunning views of mountains, the emerald green trees and the bright summer sun over your heads will create a splendid atmosphere. While you enjoy this miraculous scenery, the adrenaline will be hitting at its most throughout your veins! This day you will spend on the quad bike, covered in dust and having an adrenaline rush is going to be definitely unforgettable. Even though you get tired a lot from the rush of your business throughout the year, you cannot say no to the call of adventure, if you have an adventurous soul. While having a peaceful and quiet holiday in Fethiye, the urge for adventure will definitely hit you. 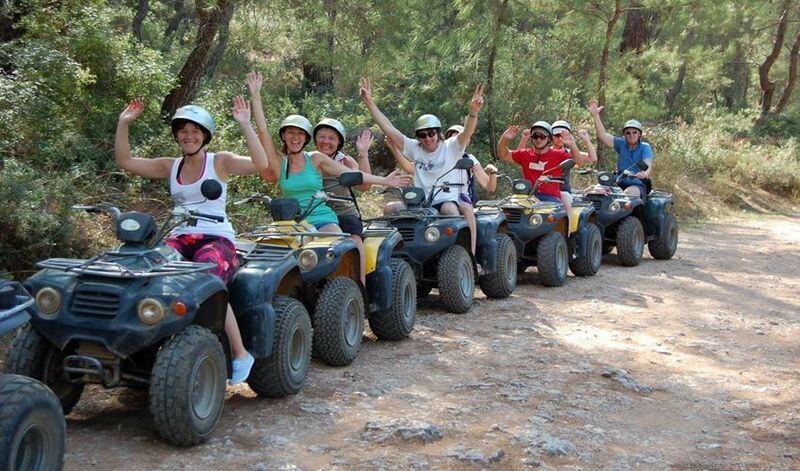 When it hits, our Fethiye Quad Safari Tour is the right choice for you! Towel, Swimsuits, Sun Creams, Comfortable Shoes or Sneakers, Sun Glasses, Spare Clothes, Camera. Bring old clothes, your day will be full of mud & dust. Please also don't forget to protect your electronic equipment. 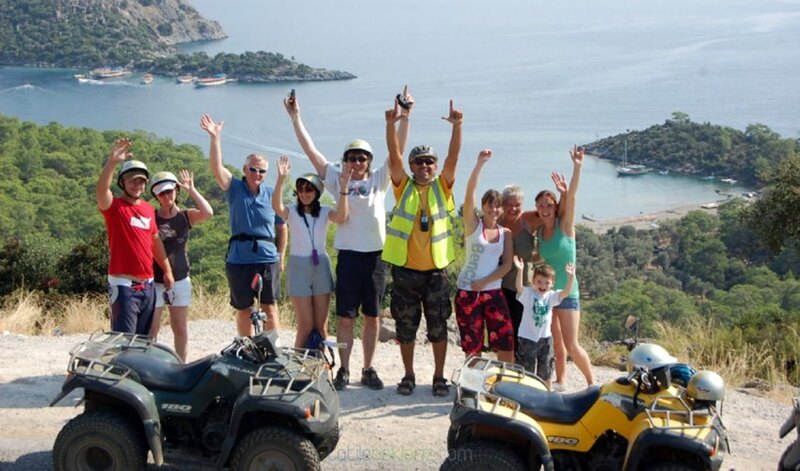 You can read more about Excursions in Fethiye from here. Excursion Mania is offering you two different sessions for the Fethiye Quad Safari Tour. One in the morning and one in the afternoon. According to your booking time, our drivers will be waiting for you in front of your hotel. You will have a short drive from your hotel to our quad safari tour venue. 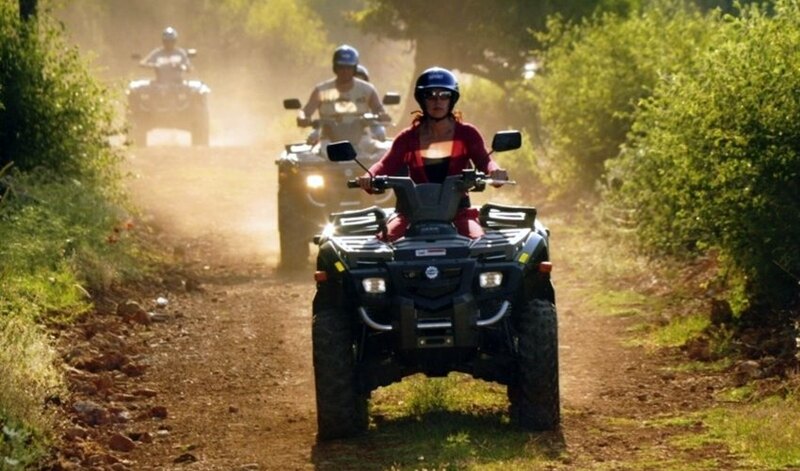 When we arrive to the quad bike point, our professional instructors will give a quick training to you. 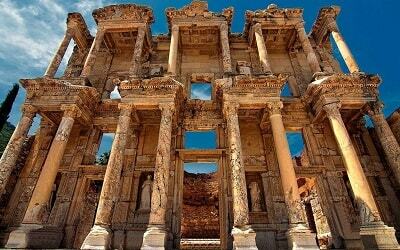 So, you don’t need any experince to join our tour, as we will explain everything in detail. 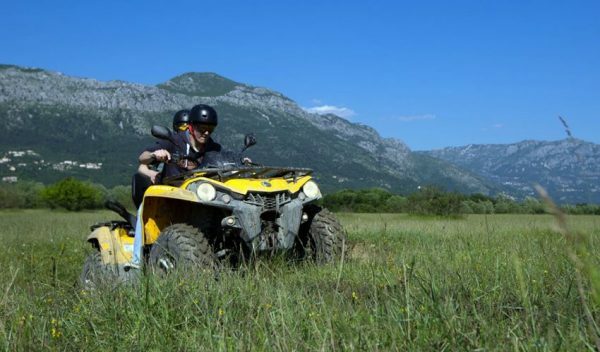 Since the quad bikes are easy to handle, you will grasp the basics very quickly. As your safety is our first priority during the Fethiye Quad Safari Tour, every part of the equipment and the bikes will be double checked. Do not forget, speeding is not allowed! After the training, our instructors will lead you to the demo tour. This will be a quick try for you to get used to the vehicles. Afterwards, you will be ready to hit the road! After getting used to the vehicles, the time comes for the safari! 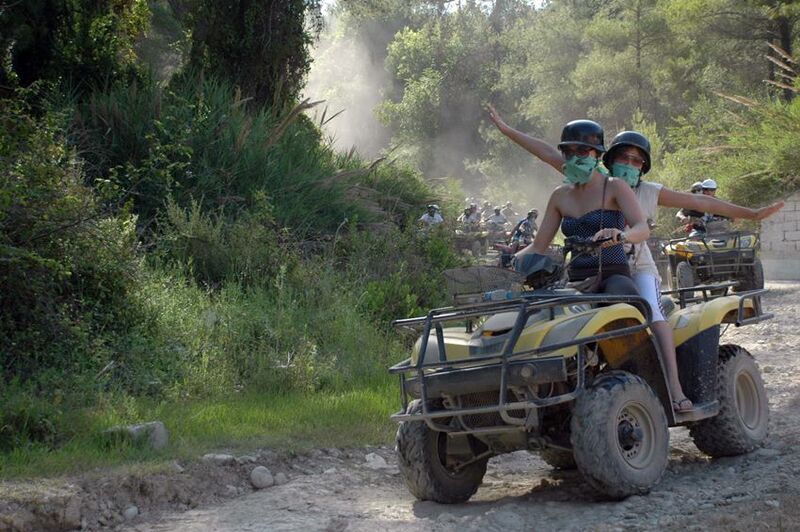 We will go through the untouched parts of nature, and we will get covered in dust while riding. We will climb to the hills, jump over obstacles, and sometimes go through small rivers and get wet. So be ready to get dirty. The route is quite bumpy, so it will be a completely different experience than driving on the asphalt. The shades of green, the blue and clear sky above your head and the fresh air will astonish you. 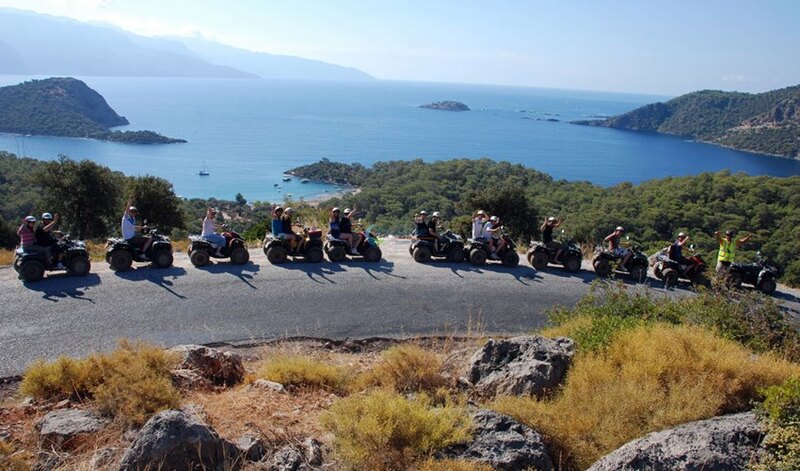 During our route, we can also head to Levissi/Kayaköy. It is a small village, once belonged to Greek people who had to leave their homes as a result of an agreement between Greece and Turkey. 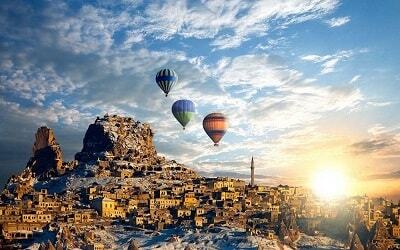 Our guides will be more than happy to inform you more about this splendid place. After completing our route, we will head back to the beginning point. Our comfortable buses will be ready there, and we will head to your hotels after an exciting but tiring day. If you need anything during your travel, please inform our guides, or drivers. They will be at your service.